Less than two months from now, Batman and Superman fans will be divided accordingly as two of DC Comics’ most epic heroes go toe-to-toe against each other in “Batman v Superman: Dawn of Justice”… But Vidgeo decided to take things a step further by making this hilarious mash-up trailer that’s full of surprises that WWE fans and those who love the interwebz can really get behind. Introducing – Randy Orton vs Batman vs Superman: Dawn of the RKO” – A clear example of what people with A LOT OF TIME AND INTEREST IN THEIR HANDS DO when you give them a lot of popular culture things to play around with. If you’re into Wrestling and known who “The Viper” is, you’re in for a treat AND THEN SOME. 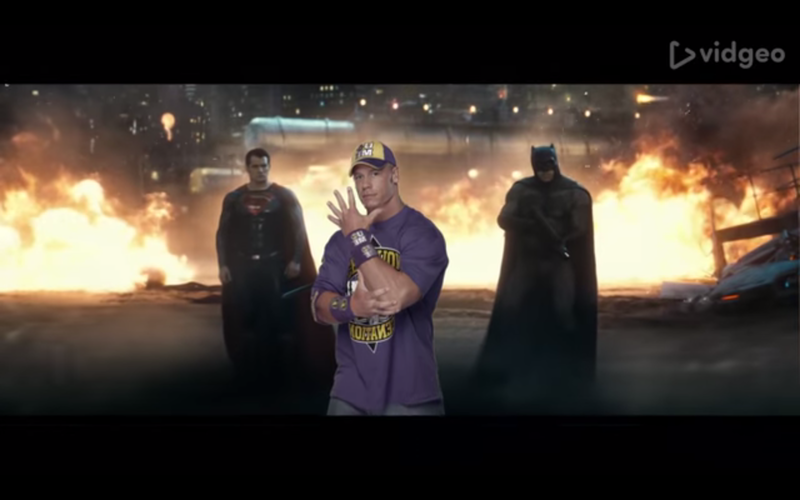 Memes, famous scenes, and even Shia LaBeouf’s “DO IT” and “JOHN CENA” make an appearance in this one, and it’s the kind of stuff that puts hilarity into something that is already a movie about a guy dressed as a Bat taking on a super powered alien because you need superheroes fighting against one another before they can join forces take on the real threat. And there goes over two minutes of time well spent. To quote Jim Ross… BAAAAAWWWWW GAAAAWWWWDDDD~!!!! Next articleBREAKING: The Flash and Supergirl Crossover is OFFICIAL!